Life would not be possible without salt. Your ability to think, remember and reason would be impaired. Your muscles would no longer work. Your heart would stop beating. Although salt sometimes gets blamed for many health ills, your salt's source can make all the difference. 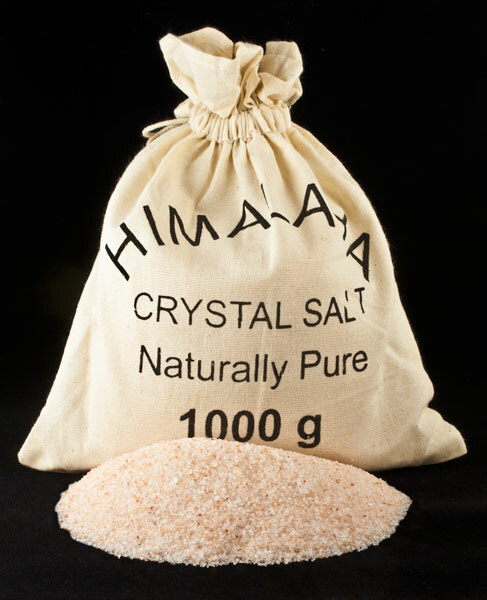 To understand the superiority of Himalayan gourmet salt, it helps to understand just how available salts are sourced. Standard table salt is still the most common salt today and is used in various forms for the manufacture of processed foods. Thus "industrial grade" table salt has had all the beneficial trace minerals removed so that it is pure sodium chloride and additives, such as iodine, an anti-caking agent, and in some cases, even refined sugar. Only about 7 percent of salt produced via this process goes into the food sector, with a whopping 93 percent for various industrial uses. It is that larger market that has dictated how the product is manufactured. Most table salt is being used for the manufacture of things like explosive, chlorine gas, plastics and fertilizers, driving the product's manufacture. Add to this, the addition of iodine and you have a non-nutritious product coupled with a poison. Sea salt is becoming more common today as consumers have begun to question the health hazards of table salt. But choosing one simply labeled "sea salt" is not going to guarantee you have your salt fits into your need for organic health and wellness products. If you see nothing but "sodium chloride," you may as well be using table salt. True Atlantic or Celtic natural sea salts certainly have advantages over common table salt as they contain healthy trace minerals without added chemicals. The problem with these salts is they are sourced from today's oceans. Unfortunately, today's sea waters cannot produce a pure, healthy product due to the large amounts of pollutants, toxins and other impurities to be found there. Himalayan natural salt contains all the important trace minerals and nutrients to help your body function at its best. However, it does not contain the added chemicals of industrial table salt nor does it carry the risk of toxins to be found in sea salts. That's because Himalayan table salt is mined from deposits that were left from ancient oceans. These oceans did not have the contaminants found in today's seas. These deposits are mined by hand, without adding impurities while safeguarding the crystal structure. Himalayan pink salt gets its distinctive color because of the minerals it contains. Once you understand the differences in salt sources, making a choice becomes much easier. By choosing Himalayan salt for consumption, your body will benefit from Himalayan crystal salt containing a rich spectrum of trace minerals delivered in a crystalline structure that is more akin to the human body's structure.